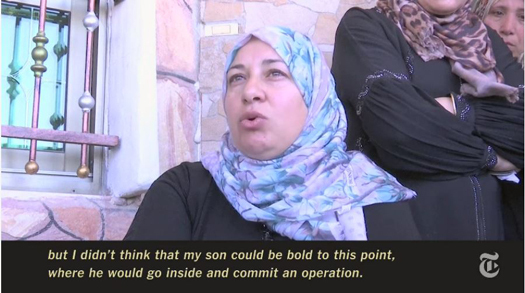 CAMERA has prompted corrections of mistranslations in a New York Times video that had excised the praise of Um Kamel Tarayreh for her son Mohammed. 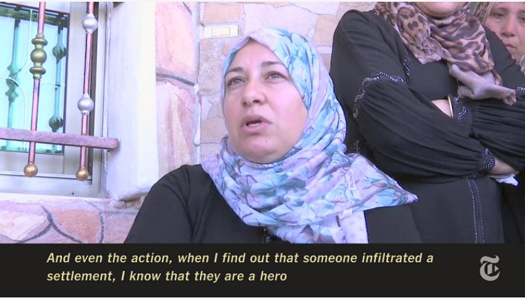 The mother had called her son a “martyr” and “hero” after he murdered the sleeping 13-year-old Hallel Yaffa Ariel. While that erroneous translation was quickly corrected, CAMERA noted additional mistranslations which softened the mother’s extreme rhetoric. While the mother said that of course anyone who would commit such an act is a “hero,” the subtitle showed her using the word “bold” instead of hero. Likewise, the subtitle originally translated her referring to the murder as a “crime,” though she does not actually use that word. 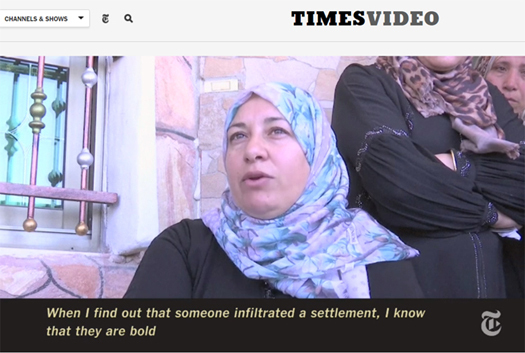 CAMERA calls on The Times to investigate how such a grossly skewed translation which downplayed a Palestinian mother’s praise for her son’s act of terror appeared on its site. Editors should draw the appropriate conclusions and take whatever needed steps are necessary in order to ensure that such egregiously inaccurate Arabic translations do not again appear in Times material. For additional New York Times corrections prompted by CAMERA, see here.